The powerful and roomy 2018 Toyota Sequoia is now available to take your family and friends to those hard to get to destinations! The spacious interior seats up to 8 passengers with its convenient 3rd-row seating. If they are not needed, the 2nd and 3rd rows easily fold down for extra cargo space instead. If that is not enough, the 2018 Sequoia is capable of towing up to 7,400 pounds and provides trailer-sway control as well as TOW/HAUL mode to help transport whatever you need. There are a number of cool new tech and safety features that now come standard on the 2018 Sequoia, creating an exceptional, quality experience you'll only find in a Toyota. The Sequoia is the ultimate family friendly SUV! Schedule your test drive today and you'll see what all the fuss is about! This remarkable full size SUV comes in three available trims tailored to fit your personal needs, and each one is available with four-wheel drive. 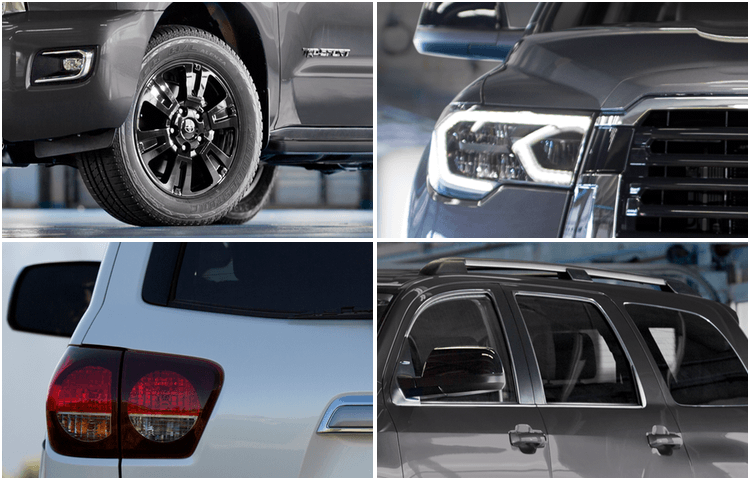 No matter the choice, each 2018 Toyota Sequoia trim is a lush and impressive option. Even the standard SR5 comes with favorable features, such as: multi-function remote keyless entry system, automatic three-zone front and rear climate control, Entune™ audio plus with connected navigation app and much more. If you are looking for something more, the 2018 Toyota Limited adds a little luxury with its leather interior, heated power outside mirrors, and power liftgate. The top of the line Platinum trim comes fully loaded with features including rear-seat Blu-ray Disc™ premium JBL Synthesis® audio, and climate controlled seats. No matter your destination, the 2018 Toyota Sequoia will get you there! Whether you are driving through the city or off-roading in the mountains, safety is the number one priority! They don't get any safer than the 2018 Toyota Sequoia. 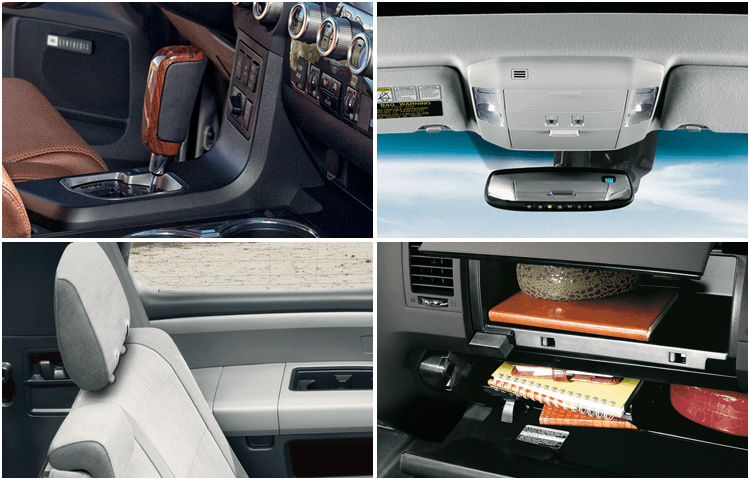 This vehicle is stacked with technologically advanced tools to help you keep your family safe. Blind spot monitor and rear cross-traffic alert systems aid in preventing any collisions by letting you know when other vehicles are approaching. Toyota's Star Safety System™ suite provides you with six of Toyota's most advanced safety features: vehicle stability control, traction control, anti-lock brakes, electronic brake-force distribution, brake assist, and Smart Stop technology®. You will notice that nearly all of the safety features come standard. That is because Toyota's top priority is you! There should be no additional cost for your safety, so drive easy knowing Toyota has your back! Not only do we want you to be safe, but we want you to enjoy your 2018 Toyota Sequoia every time you sit behind the wheel. Features like Entune™ premium audio system and app suite have also been added for your enjoyment. Savor your drive in the 2018 Toyota Sequoia! 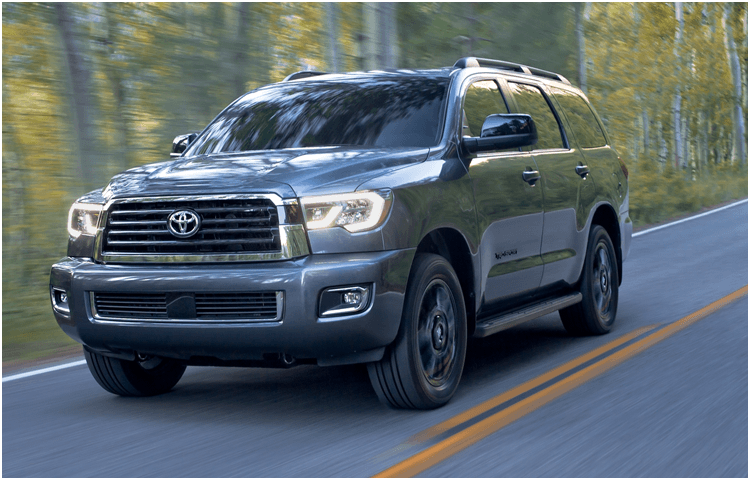 Designed for power and efficiency, the 5.7-liter i-FORCE V8 engine that produces 381 horsepower and up to 401 lb.-ft. of torque is standard on all of the 2018 Toyota Sequoia models. In addition, it has received an ultra low emission vehicle rating. Rear-wheel drive or the available multi-mode 4WD lets you have optimal control over your 2018 Toyota Sequoia. This allows you to take up to 8 passengers over even the most rugged terrain with just the shift of a dial. Wherever you go, drive comfortably knowing that you can rely on the durable fully boxed frame and independent suspension. When looking for a new Toyota car, SUV, or truck, you want to make sure you are buying the best. Do that by buying from the best. At Titus-Will Toyota we strive to find great vehicles at low prices so you can have a no-hassle and no-pressure shopping experience. After all, finding your dream vehicle should be a fun process. We make that happen by making our knowledgeable sales team and finance professionals available to help you 7-days a week. They do the work for you so you can focus on what you want. Not sure? 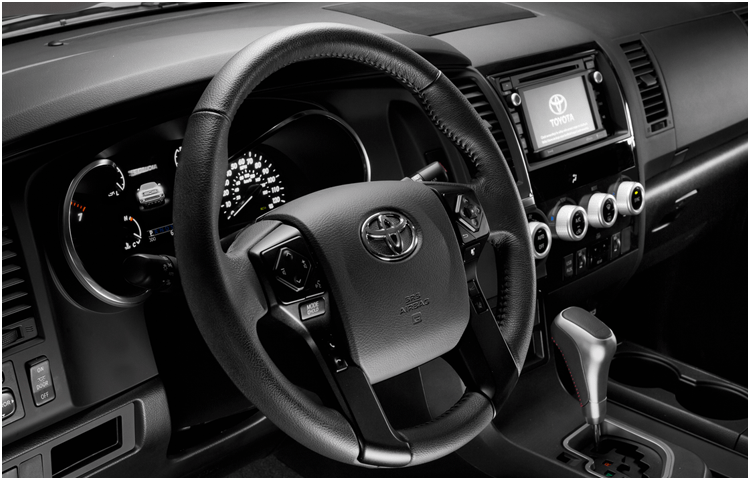 Check out our Toyota model pages to help you gather any additional information you may need. When you have an idea of what you like, give us a call or come on over to our lot located at: 3506 S Sprague Ave, Tacoma, WA 98409 —a short drive from Puyallup, Lakewood and Federal Way. We'd be happy to set you up a test drive with the vehicle of your choice, whether you are looking for a new 2018 Toyota or a Certified Pre-Owned vehicle. We have something for everyone! * MSRP excludes the Delivery, Processing, and Handling Fee of $885 for Cars (Yaris, Yaris iA, 86, Corolla, Corolla iM, Camry, Camry HV, Prius LB, Prius, Prius Prime, Mirai, Sequoia, Sequoia HV), $960 for Small/Medium Trucks, SUVs and Van (C-HR, RAV4, RAV4 HV, Highlander, Highlander HV, 4Runner, Sienna, Tacoma), $1,195 for Large SUVs (Sequoia, Land Cruiser), and $1,195 for Large Truck (Tundra). (Historically, vehicle manufacturers and distributors have charged a separate fee for processing, handling and delivering vehicles to dealerships. Toyota's charge for these services is called the "Delivery, Processing and Handling Fee" and is based on the value of the processing, handling and delivery services Toyota provides as well as Toyota's overall pricing structure. Toyota may make a profit on the Delivery, Processing and Handling Fee.) Excludes taxes, license, title and available or regionally required equipment. The Delivery, Processing and Handling Fee in AL, AR, FL, GA, LA, MS, NC, OK, SC and TX will be higher. Actual dealer price will vary.